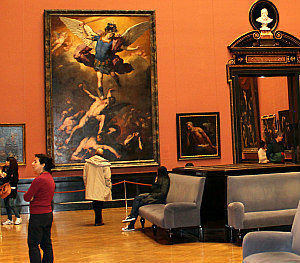 Vienna Art Museum. 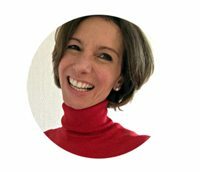 Your personal taste against those of the Habsburg Emperors? 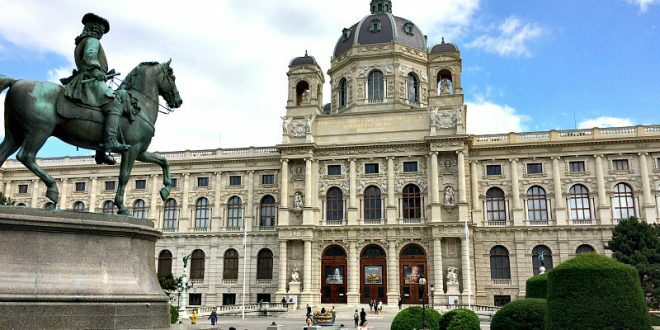 Unlike anywhere else, Kunsthistorisches Museum in Vienna will provide a taste of the Habsburgs’ favourite things: After collecting artwork across Europe and Northern Africa for more than 400 years the Emperors enabled one of Europe’s finest museums. 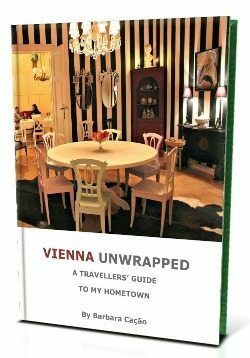 Following my multiple visits, let me share some insight into Vienna’s most popular museum for your trip planning. Vienna Art Museum. When the Imperial art collection at the Upper Belvedere was bursting at the seams Emperor Franz Joseph built the Kunsthistorisches Museum more than 120 years ago. Definitely as impressive as the collections is the museum building itself, one of Ringstrasse‘s gems. The long stretched cuboid topped with a massive cupola, oversized windows, Greek columns and sculptures is meant to overwhelm. What most visitors don’t know is that the museum hosts some breathtaking Gustav Klimt artwork. At 12 meters above the main entrance Gustav, his brother Ernst, and Franz Matsch created wall paintings between the columns and arcades of the top floor. 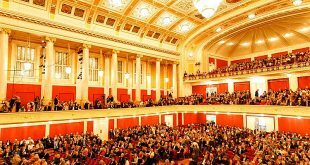 Just before you enter the top floor café, look up while still at the staircase and you will see Klimt’s romantic females. Most of them are posing in Ancient Egyptian, Greek and Roman styles. 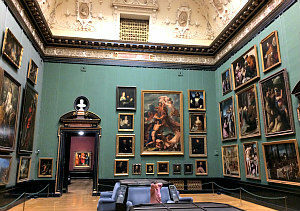 Vienna Art Museum. Somehow, I always start with the picture gallery on the first floor. That grand staircase simply lifts visitors up right when they enter. At the gallery, expect the finest of Classical Europe from the past 500 years: Some of the Bruegels, Dürers and Italian Mannerists there merely escaped the 30-Year-War in the 17th century. Later on, Emperor Charles VI (Empress Maria Theresa’s father) merged his Spanish art treasures with the collections in Vienna and Prague. Ever smiled about Arcimboldo’s amusing allegorical portraits? At the Vienna Art Museum you can see the originals of ‘Summer’ and ‘Fire’. Another intriguing painting waits at the Flemish collection: a ‘meta-painting’ showing some of the paintings at Kunsthistorisches Museum. On it is Habsburgs’ Archduke William, whose collection has contributed massively to the museum’s treasures. Among the Dutch painters, spend some time with Pieter Bruegel’s world famous ‘Tower of Babel’. And please search for my personal favourite among the Italian Renaissance artists, the ‘arrow carving Amor’ – you won’t regret it. Vienna Art Museum. When the Habsburg Emperors display their home ware, decorative items and gadgets you get the finest of classical European craftsmanship on a gold tray. From wooden and stone sculptures to cameos, art and splendor come in different sizes and shapes. 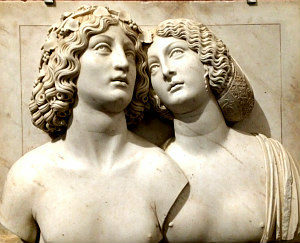 One of the most enchanting works is this Venetian relief from the early 16th century showing a young couple (see photo). What I actually love most about the collection are its exotic objects: the delicate ostrich egg chalice, a precious mug made from narwhal horn, and a pitcher from a Seychelles nut, beautifully carved and topped with rich gold decorations. 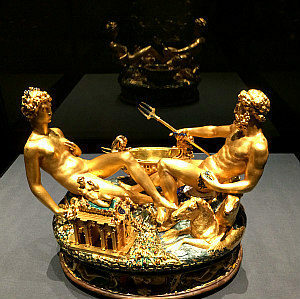 This photo shows Benvenuto Cellini’s famous Saliera, a salt and pepper set displaying the personified Sea and Earth. In 2003, a local expert for burglar alarms stole Cellini’s only verified gold work in a spectacular robbery. Three years later, the golden masterpiece appeared in a wooden box buried in a forest in the North of Vienna. Since then, the Cellini salt cellar has turned into the museum’s show piece. Even gaming demanded art and beauty as the most intricately carved tric-trac board game proves. Sporting Habsburg King Ferdinand I and Polish King Ladislaus along with the world’s top imperial rulers, the game board boasts the most delicate carvings and inlaid work. 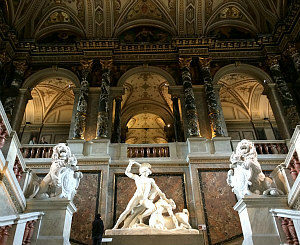 Vienna Art Museum. Whereas Egyptian collections are nothing extraordinary, the Habsburgs’ early interest in them is: Some 200 years before Europe started to get into Egyptian culture the Habsburgs bought their first Egyptian artefacts in Alexandria. Subsequently, gifts and purchases extended the collection. Crown Prince Rudolph, Empress Sissi’s son, for example, acquired numerous objects during his travels to Egypt. Complete with sarcophagi, sphinxes, and hieroglyph steles the Egyptian and Near Eastern collection is beautifully arranged. 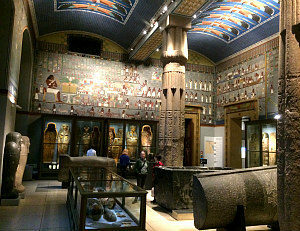 Notably, the Imperial museum architects paid their homage to the collection with Egyptian-style wall designs. Vienna Art Museum. Like with their Egyptian collection, the Habsburgs were early adopters of antiquities, reaching deep into their pockets to build the collection. Some 500 years ago, King Rudolf II, started off with delicate cameo ‘Gemma Augustea’. When Hofburg Palace’s space finally burst with Greek and Roman artefacts, they even moved into Volksgarten for a while. I can totally see why the Habsburgs loved their acquisitions of Greek ceramics, statuettes and busts. At the Roman collection you will find amazingly vivid artwork, from tiny colourful mosaics to busts and portrait heads full of expression. Don’t miss the cameos.